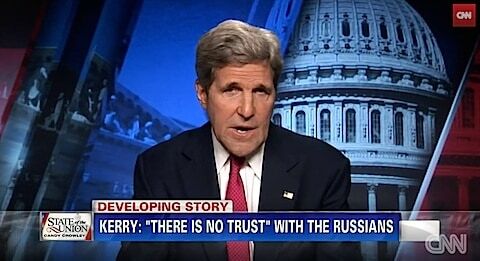 Secretary of State John Kerry pointed fingers at Russia over the crash of MH17 over Ukraine. "We know from intercepts … that those are in fact the voices of separatists. And now we have a video showing a launcher moving back through a particular area there out into Russia with at least one missing missile on it….This is the moment of truth for Russia. Russia is supporting these separatists. Russia is arming these separatists. Russia is training these separatists. And Russia has not yet done the things necessary in order to try to bring them under control."